As the semester winds down for many faculty across the States, many people are buried beneath a pile of assignments to grade. In this episode, I offer a straightforward way to think about how much time you have to grade, how to schedule it into your calendar, and how to set up your online courses to work around submissions that you'd like to focus on more deeply. Please send questions my way: thinkingofyoupodcast@gmail.com or post on my website. It's finals week! In honor of wrapping up one trimester while simultaneously preparing for the next, I share some ideas about creating interesting and fun "Getting to Know You" activities for week 1 of your online courses. For more info or to submit questions, visit my website. I've developed a process for handling letter of recommendation requests, which I outline in this episode. You can see my website page for students who want to request letters, and the one with instructions to be used after I've agreed to the request. (Many thanks to Dr. Tressie McMillan Cottom and Dr. Tricia Matthew for sharing their guidelines. I highly recommend following both on Twitter and elsewhere.). If you have other ways of handling letters of recommendation, I'd love to hear about them: thinkingofyoupodcast@gmail.com or leave a comment on my website. Thanks for listening! I cover a follow-up question about Episode 6: Mid-Term Surveys and talk about what it feels like to be a beginner. I'd love to hear from you! Please send your comments and questions to thinkingofyoupodcast@gmail.com. Wherein I go on a small rant about when and how to use discussion boards in online courses. Thoughts? Ideas? 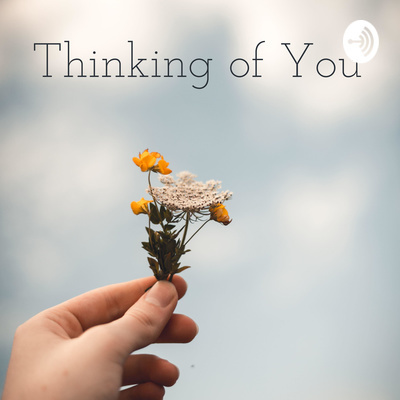 thinkingofyoupodcast@gmail.com or leave your feedback here. A slightly-belated Valentine's Day episode! A few thoughts on loving our students, even when it's challenging. Thoughts on how to best communicate with your online students individually and as a group. Please share your thoughts and questions by emailing thinkingofyoupodcast@gmail.com or on my website here. Link to the Remind app I mentioned. Here are a handful of ideas for adding student agency to your online course, even if you weren't the one who designed it. I'd love to hear your ideas, comments, and questions. How do you add agency to your online courses? Email thinkingofyoupodcast@gmail.com or submit online here. * A video tour showing how I incorporate student choice into my Pathophysiology course * Tricider: a free tool for brainstorming and voting on ideas * FlipGrid: a free tool that simplifies video responses. I'll do a separate blog post on this soon! Thoughts on how and why to humanize your instructor bio. See also this excellent article in Faculty Focus by Evan Kropp: Using Your Instructor Bio to Humanize Course, Reduce Student Anxiety Here is a link to the Teaching Complexity webinar series. Please send feedback and questions to thinkingofyoupodcast@gmail.com or submit here. 1 | Should I Open All Course Content in Week 1? Meet Camille and learn why this podcast is called "Thinking of You."